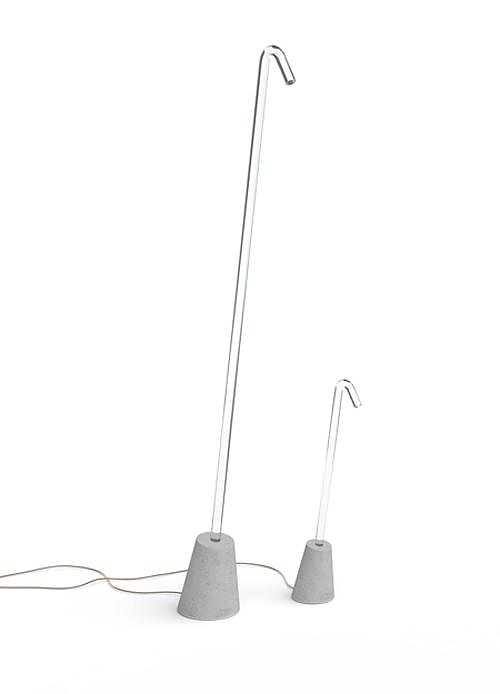 HomeBlogHome DecorPole Light Floor Lamp by Established & Sons. The Pole Light lamp was designed by Paul Cocksedge for British firm Established & Sons. It stands out mainly because it challenges the common perception that light travels in a straight line. 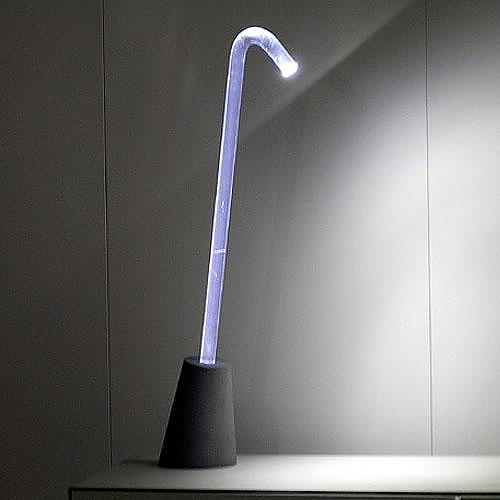 Using a transparent acrylic tube similar to that found in the fiber optics, the Pole Light directs light to the desired angle. The design is minimalist and architectural, while the contrast of the transparent acrylic tube with the coarse concrete base gives a postmodern look and feel, which inspires with its simplicity. Light travels from its source, embedded within the concrete base, up through the optical grade, precisely curved, transparent acrylic rod culminating in a bright beam appearing more than a meter from its original source. The achieved illusion is of bending light. The Pole Light provides ambient light as well as a dimmable, focused, directional beam. The design uses a minimum of materials and components yet provides an unexpected spectacle rarely found, or attempted, in domestic lighting product. It is available in two sizes. 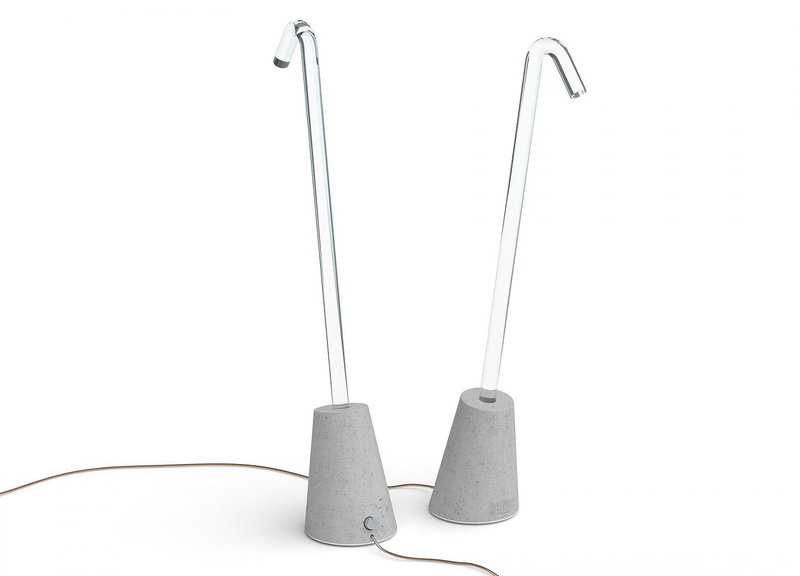 The small version is a table lamp, while the larger version is a very impressive floor lamp. Established & Sons is an innovative British firm that has been around since 2005. However during this relatively short period of time, it has already produced countless unique designs, that are present as permanent exhibits in many design and modern art museums worldwide. Established & Sons has collaborated with some of the greatest names in the industry such as Jasper Morrison, Konstantin Grcic and Zaha Hadid.